As noted on the Windows Experience Blog, you can now upgrade to the November update of Windows 10. As an Insider, there are four ways you might install this latest major update to Windows 10 and we wanted to give you some information about these paths and choices and maybe some helpful tips along the way. The November update as a normal Windows Insider flighted build. Change your setting from Slow Right to Fast Ring or the reverse. Once changed, close out Windows Update and reboot the computer. It might take a day for the PC flight policies to be updated, but this might unblock you from receiving the next flight. Run the Windows Update Troubleshooter. In the search box, type in “troubleshooting” and click on the Troubleshooting Control panel result. Under System and Security click on Fix problems with Windows Update. If the above suggestions are not working, you have a couple of choices. You can pursue the flighting error by searching for the problem in the Insiders Community Forums, Windows Update Topic and if you don’t see a relevant thread, you can post your own question about receiving flights. When you install using the downloaded media creation tool, you will lose the ability to uninstall the latest flight. Uninstall will uninstall the latest installed build which will now be the November update. Once you have installed the November update, you will need to opt back into the Insider Program. Start > Settings > Update & Security > Windows Update > Advanced options > Get started. Check: Are you sure you don’t already have the November update installed? To check, select Start > Settings > System > About. If you have installed the November update you will see “Version 1511” below the edition line. The easiest way to install the November update on a Windows 10 PC, that is not part of the Insider program, is to open up Windows Update, scan and choose to install the November update. Start > Settings > Update & Security > Windows Update > Check for updates. If you have not installed the November update, you will see it offered for installation. There are several reasons why Windows Update might not be offered in Windows Update even after you do a manual scan. You have upgraded to Windows 10 (build 10240) in the last 31 days. Windows Update wants to give users the full opportunity to uninstall Windows 10 if they are not having a great experience. We respect the 31 days uninstall period if you have upgraded to any major version of Windows 10. You have uninstalled the November update. You attempted to install the November update and the PC had a problem and rolled back to the previous OS. You are running Windows 10 Pro and have selected “Defer upgrades” under Advanced options. Installing the update using Windows Update is the easiest and best way, but you might decide to use the media creation tool to install the November update on your PC or use the media creation tool to create media to use on several PCs. As noted above, if you install the November update using the media creation tool, you will reset your uninstall and it will only apply to uninstalling the November update. Upgraded from Windows 7 or Windows 8.x to Windows 10 after the November update. With the release of the November update, Microsoft refreshes all of our installation process so that Windows 10 now includes the November update. This is all part of Windows as a Service and how you can expect Windows 10 to work from now on. It’s a great time to upgrade your PC to Windows 10 and receive the latest features and improvements right from the start. Use the Get Windows 10 app to check the PCs compatibility state. Eligible Windows 7 SP1 or Windows 8.1 customers should see a Windows icon in the system tray. Click the icon to open the Get Windows 10 app and look at the compatibility report to see if you're able to upgrade to Windows 10. To open it, click the menu in the top left corner, and then click Check your PC. If the report says that “You’re good to go,” go ahead and click Reserve. If the report says you’re unable to run Windows 10 on the PC, you won’t be able to upgrade. Your PC has one or more things are incompatible. 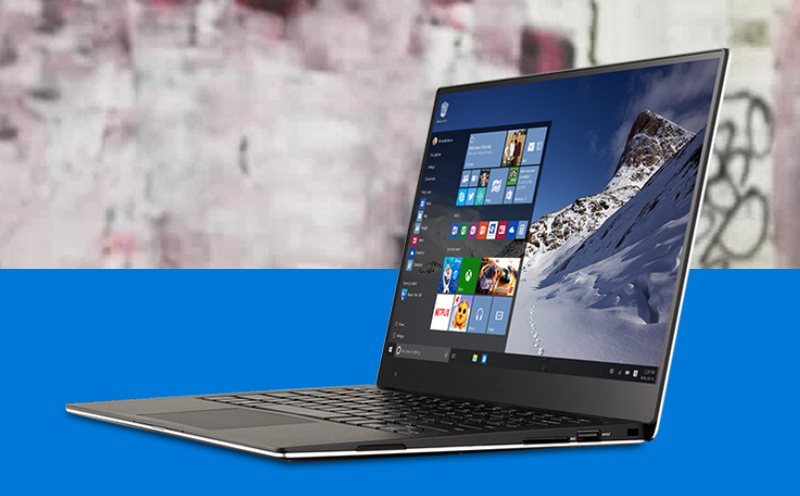 You can learn about Windows 10 new devices by clicking on ‘Have a look at new PCs’. If the report indicates that there are issues but still offers the upgrade, you can look at the apps or devices listed in the report and if you don’t care about these, you can go ahead and reserve. If these apps or devices are important, wait and check the report later for updates. We’re working with our hardware and software partners to address many of these issues. Reserve Windows 10 which will take you through the upgrade flow, right away. Once you’ve reserved Windows, by default we’ll target the PC for a background download. This is a super low priority download, so it could take a while to complete. If you don’t want to wait, you can elevate the background download to a high priority download and follow along with the progress in the Windows Update control panel. If you’re installing the download, you’ll see the installing step last for some time after the download is complete; we’re not actually upgrading yet, but are preparing the PC for installation. Soon enough, you’ll see a notification that you’re ready to upgrade. Click the notification, start the process, accept the EULA, and restart the PC. At this point, follow the instructions to sit back and relax -- there’s nothing for you to do. Upgrade time varies widely based on the hardware and number of installed apps. I have an 8 year-old desktop that took over an hour, while my laptop with a solid state hard drive was done in under 20 minutes. When the upgrade is done, you’ll be welcomed to Windows 10 and asked a few questions. Make sure the key applications are working and that you're connected to the Internet. Go to Settings > Update & Security > Windows Update and check for any updates. Once any updates are applied, open Device Manager to check for any missing drivers. I don’t see the Get Windows 10 icon. If you don’t see the Get Windows 10 app, run the troubleshooter in this KB https://support.microsoft.com/en-us/kb/3081048 to find out why you're not seeing the app and, hopefully, address the issue. The upgrade started, rebooted, I saw progress, but then it failed. During "Copying files", we actually boot into a minimal version of Windows and copy important files and drivers from the old operating system into the new one. If we fail in this first stage you’ll see an error code in the Windows Update control panel called c1900101 x200xx. For example, 20017 means we couldn’t even boot into this operating system and usually points to bad storage drivers. The “Installing features and drivers” phase is the trickiest part of upgrade. If you see a failure c1900101 x300xx, it means we failed during this phase. The most common failure is x30018, which generally means a driver crashed when we loaded it for the first time. Any driver could cause the failure, but it may not crash 100 percent of the time. If you try again, it may just work. "Configuring settings" is the final phase and failures codes look like c1900101 x400xx. The most common failure here is 40017, which means we failed to boot. Since this is the first time we boot into Windows 10 with all of the drivers in place, again, drivers are usually the cause of the crash. These issues tend to be less transient than the 30018s, so a second try is less likely to solve the issue. Still, it never hurts to try. If you do encounter any of these issues, be sure the PC is opted into the Microsoft Customer Experience Improvement Program. This enables Windows to send data back to our team so we can identify what’s causing the failures. If there are issues we work hard to address them ourselves, or we reach out to companies who own the driver or software. We, then, work together on solutions. As always, you can search for answers or post questions and support requests to the Communities for the Windows Insiders and for Windows 10. And please use the Windows Feedback app as part of the Insider Program.